Our next bio is of a dear family friend, who whose work will also be at the barn bazaar on November 17th and 24th. Denise discovered the world of beads and their cultural and ethnic heritage by attending a silver working class. 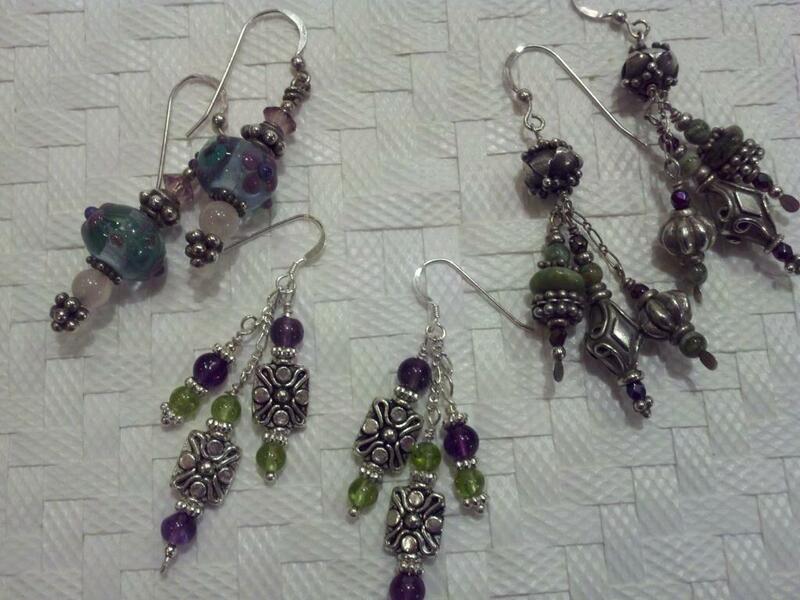 She is particularly fond of bead weaving, which combines her love of stitching with her passion for beading. Denise also crochets, quilts, embroiders and does needlepoint. 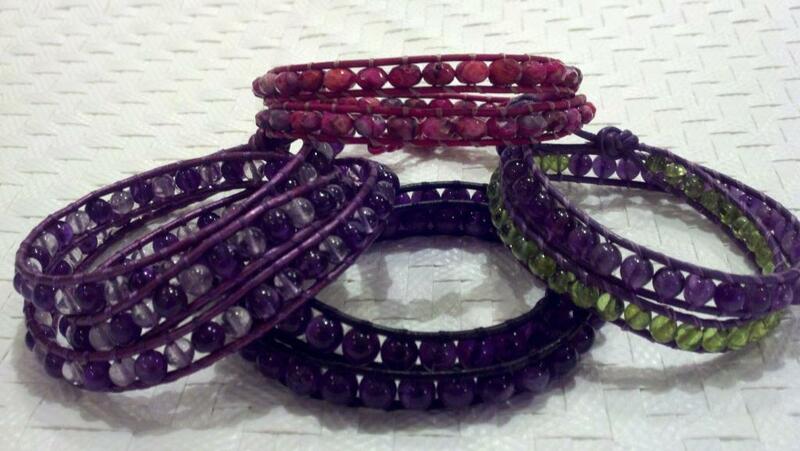 She will have on display her wrap bracelets made with leather cording and natural gem stones and jewelry created with seed beads, Swarovski crystal, pewter and sterling silver. This entry was posted in business and tagged artist bio, barn bazaar, bead weaving, beading, beads, natural gem stones, silver. Bookmark the permalink. Very pretty jewellery and nice that the posts are silver, too. I know, right? Silver is the only kind of post that doesn’t bother my ears.